The concept of a tooth fillings is commonly associated with dental cavities, and the traditional solution for the repair and prevention of further complications has been silver amalgam fillings. However, these fillings are quite unsightly when utilized in visible areas of the mouth, an aesthetic concern which – in part – led to the development of tooth-colored composite fillings. 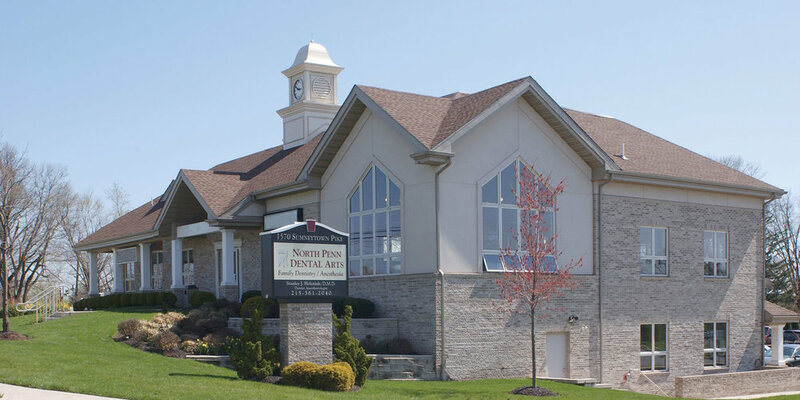 If you are looking to repair your teeth with composite fillings in Lansdale, PA, your ideal solution is to visit the modern dental office of Dr. Stanley Heleniak. At North Penn Dental Arts, we are proud to offer composite fillings not only for tooth cavities but also for cracked, fractured, or severely worn teeth. Although silver amalgam fillings are still widely used today, composite fillings are quickly gaining popularity due to the composite material’s close similarity to the appearance of natural teeth. With composite fillings, you can regain your perfect dental health without losing the aesthetic appeal of your smile! During a quick and simple procedure, requiring a single visit to our office, we remove the decayed or damaged portion of your tooth and place the composite material into the empty space. We then shape and polish your tooth to restore its natural shape and function. Your tooth may experience some sensitivity to hot and cold following the procedure, which is an entirely normal occurrence and should subside shortly. As with any dental treatment, there are certain advantages and disadvantages with both types of fillings. However, composite fillings are particularly advantageous for repairing damage in your front teeth or other areas of your mouth that are visible when speaking. Our experienced and knowledgeable dentist will evaluate your dental situation and recommend the type of filling best suited to your individual situation. To learn more about restoring your smile with composite fillings in Lansdale, PA, please call or email the team from North Penn Dental Arts today.